What to eat to boost you up? Just a little bit of stretching to wake up our legs and we were ready for the new day: 51kms to Lagos. We followed the main route with the exception of the first strecth of road. It was funny but dangerous. As we said in the previous post you have to be well equipped to go offroad in Portugal. Some roads are not easy even if you have a good gravel, for example we had to stop many times to screw the screws back in; and above all have the right wheels. After this little offroad we went back to a secondary road on the hills where we discovered the joy of long descents after big climbs. As well as being sweaty we had to look pretty desperate, so desperate that an old lady who was selling oranges along the way stopped us to give us a couple! Ahh vitamins! It’s so beautiful when you met this kind of person with a very big big big big x5 heart. 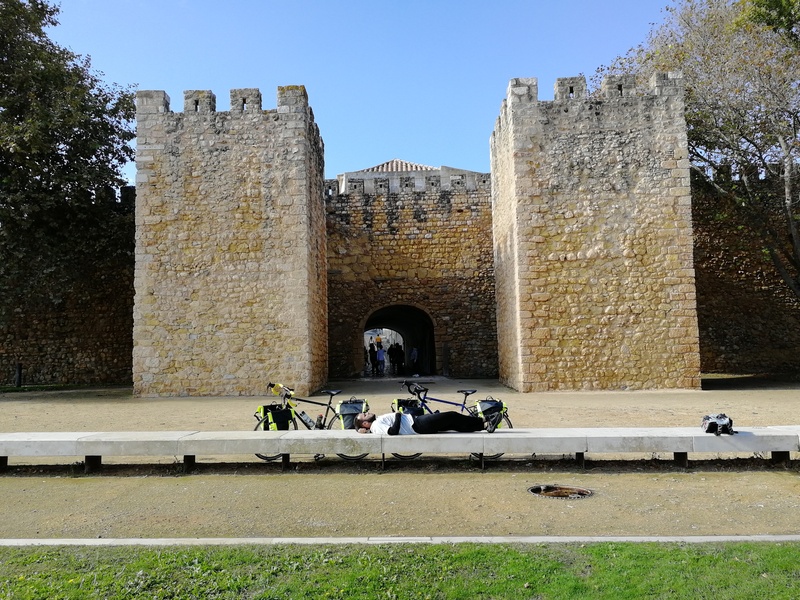 With this load of energy and love we continued our route trough beautiful and different landscapes: from the red rocks to cozy villages, cows and the beautiful bridge of Portimao on the Arade river. Cycling makes you hungry, so we stopped in the first place that we found along the road. RIGHT CHOICE: Piri Piri Chicken makes you better, a better person! 😀 and of course it will. it’s so spicy that had invigorated our legs to the point of making us do the last 20km in just an hour! Lagos, together with Albufeira and Faro is one of the most famous tourist resorts in the Algarve. It is not BIG, but it is very pretty. It’s known for its beautiful beaches and the walls of the houses adorned with azulejos, small tiles that resemble Sicilian majolica and give a taste of freshness and antiquity at the same time to the city. 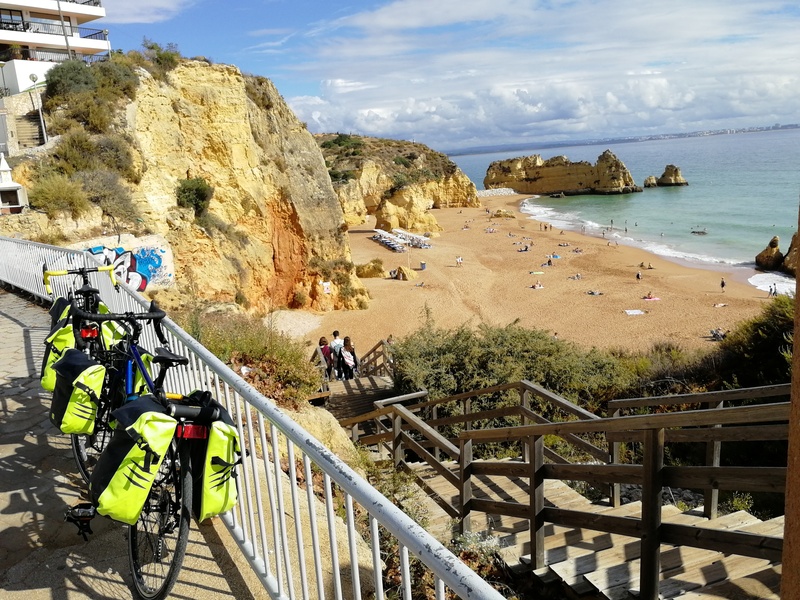 Here you will find many of the most beautiful beaches in the Algarve, for example the beautiful beach of Dona Ana near the city center. Look at this beauty! In addition to the beaches there are several monuments that you can visit including the entirely covered with azulejos “Igreja of sait antonio” or the “Forte da ponta da Bandiera” from wich you can have a beutiful view of the sea. We gave a quick look to the city and we decided to reach our resort in order to have a shower, relax a little bit and come back in the evening to have dinner! Once we did the check in he accompanied us to our apartment. Just look at the photo below? If we have to buy an house we definitely ask for a copy of this apartment. Or Maybe a copy of this resort! PRETTY COOL! You can find anything you need: Spa, gym, Swimming pool, tennis and beach volley courts, soccer field, minigolf and a good bar where we drunk an excellent gin tonic! For sure, it’s good especially for families and cyclist who want some good relax. Time To Dinner Ladies and Gentlemen! As Lagos is a sea village, its speciality are fresh fish dishes! So, don’t miss the fabolous fish soup that many restaurants propose to its clients! And don’t miss the sweet potatoes too! The following morning we decided to get up early and take some fresh air in front of the swimming pool. What’s better for your spirit? Dawn, fresh air, respiration exercise and we were ready for the new day! 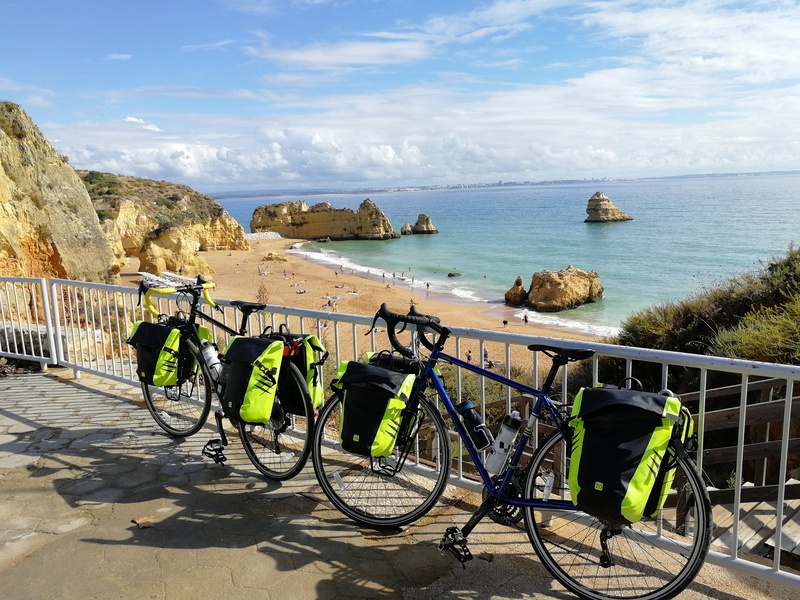 We know that every single day traveling by bike has something different from another one! We love that feeling! 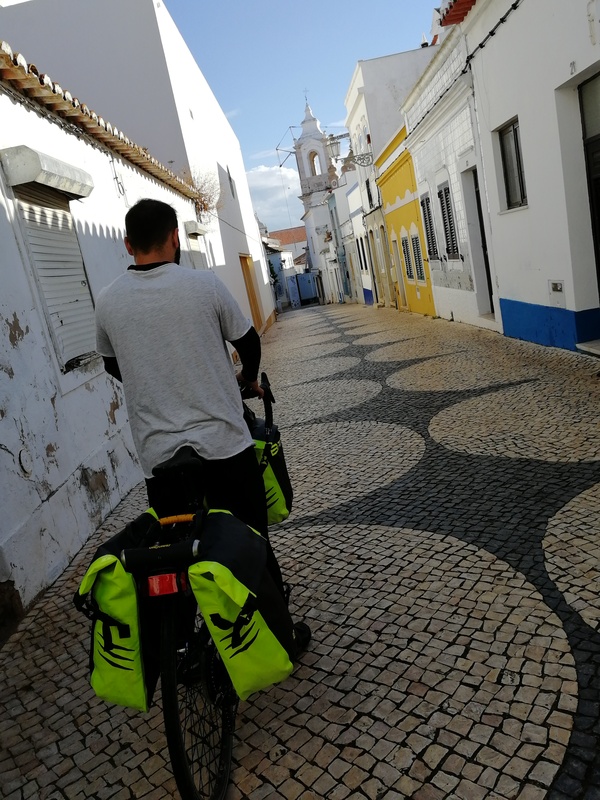 We were ready to reach vila do bispo, but first passing through Sagres and Cabo De Sao Vicente, the southwest point of the European continent. Prev Chapter 1: Let’s Up & Down, Albufeira! What a great adventure in a beautiful country! No, but I sure would like to see it someday!